Accountants in Bulgaria: Company Formation - How to form / set up a new Limited Liability Company in Bulgaria? вторник, 3 януари 2017 г. 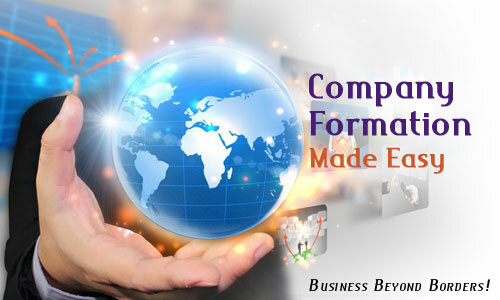 Company Formation - How to form / set up a new Limited Liability Company in Bulgaria? One shareholder for a Sole Limited Liability Company (EOOD) and at least 2 or more shareholders for a Limited Liability Company (OOD) are required to set up the company. The shareholders may be individuals or companies. They also could be foreigners. The minimum share capital is BGN2.00, with the minimum nominal value of BGN1.00 a share. The first step in forming a new Company is its registration in the Central Commercial Register at the Registry Agency of the Ministry of Justice. Application for registration of EOOD / OOD may be filed in each of the regional offices of the Registry Agency, no matter where the seat of the Company will be. The application form should be stated by the manager / managers of the company or by a lawyer with explicit written authorization (recommended). The application for registration and its attachments may be submitted on paper or in electronic form. They must be applied in Bulgarian language. The documents can be filed in any official European Union language as well, but together with a certified Bulgarian translation. Registration Officer shall review the application and shall rule on it. Usually takes 3 to 5 working days after submitting the documents. Capital - the amount and paid-in capital. Bank document for the deposited capital. Please Note: You can withdraw the deposited capital right after the Company registration and receiving the actual Company statute document at the Registry Agency. Upon application for registration of circumstances on a limited liability company (A4) in the amount of 160 BGN for manually submitting / 80 BGN electronically. Upon application for reservation of company name (D1) in the amount of 50 BGN for manually submitting / 25 BGN electronically. Lawyer' s assistance. We can offer you highly competent lawyers for a fee of 200 BGN. Публикувано от balances-bg в 23:50 ч.